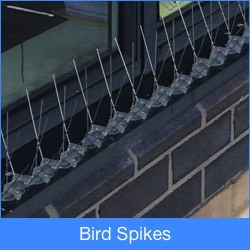 Bird spikes are used to prevent birds from landing on flat surfaces such as ledges, parapets, pipes and window sills. 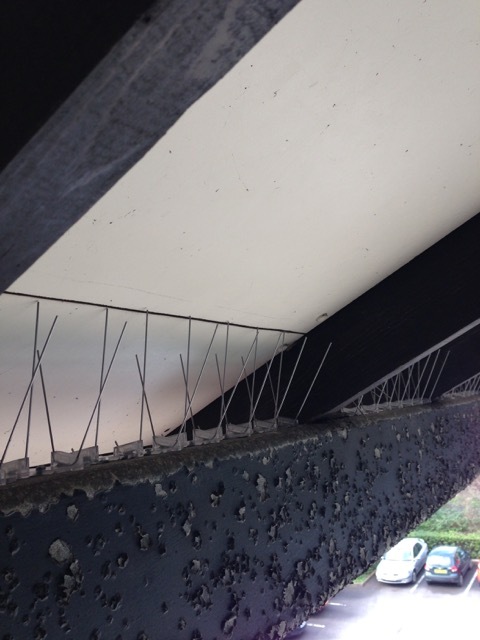 Using specially designed polycarbonate clips, spikes are also one of the best ways of keeping birds out of guttering. 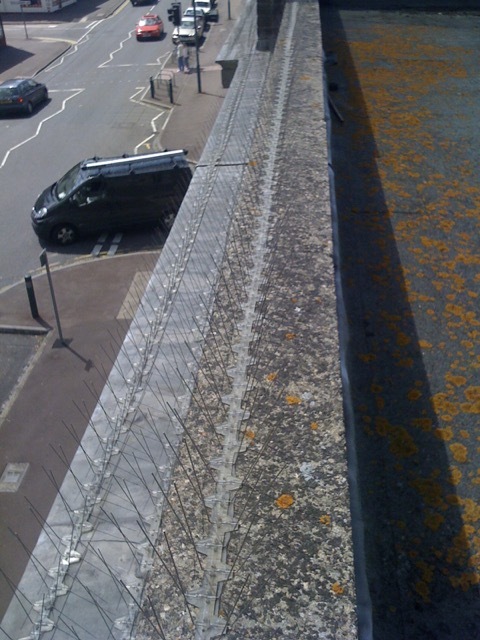 Standard spikes are suitable for proofing against Pigeons, though a larger version is available for use against Gulls. 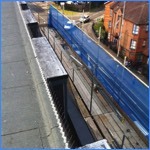 These are useful for keeping gulls off of roof ridges or for proofing nesting areas such as the base of chimneys. 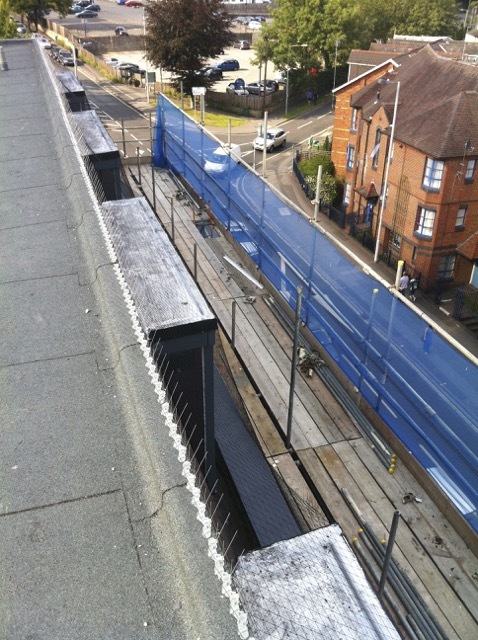 All the spikes that we use consist of 304 grade stainless steel pins attached to a UV stabilised polycarbonate base. Spikes are usually attached using a high strength polymer adhesive, though in certain circumstances, they can be drilled in. 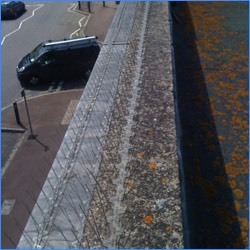 When installed into gutters, the spikes are clipped on and are removable. 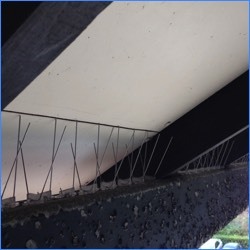 More examples of bird spikes can be seen on our gallery page.